Please note, in order to access the Boone County Internet Mapping Viewers you must have a valid login and have Internet Explorer 7.0, Firefox 3.5, Google Chrome 4, Safari 3 or higher on: Windows 7, Vista, XP; Linux SUSE and Red Hat; and Sun Solaris. 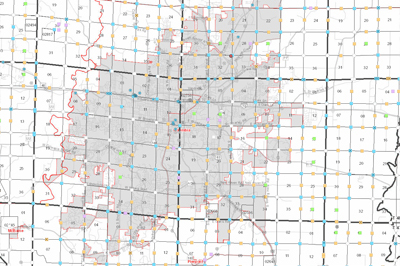 The mapping applications are best viewed with a screen resolution of 800 x 600 or higher. Also, in order for the print map tool to function correctly, you must turn off all pop-up blocking applications such as Yahoo bar, Google bar, etc. Also, the "Back" button at the top of web browsers will not function when using the map viewers. Please use the navigation buttons within the application to navigate. Maintained by the Boone County Assessor's Office, the Parcel Information Viewer enables you to view Boone County from the air and have the ability to locate property and zoom in for a closer look. Then, with few clicks of your mouse, you can display a property's owner information and tax history. 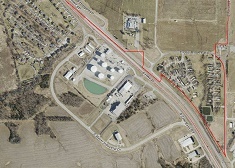 The owner and tax information is coming directly from the Boone County Assessor's Tax System, the parcel linework is updated daily, the aerial photography used in this viewer was taken in spring 2017, 2015, 2011, 2007, and 2002, and the terrain view was developed by using 2015 and 2007 data. Maintained by the Boone County Assessor's Office, the Aerial Photo Viewer enables you to view Boone County from the air and have the ability to locate property and zoom in for a closer look. The aerial photography used in this viewer were taken in spring 2017, 2015, 2011, 2007, & 2002. Maintained by the Boone County Assessor's Office, the Plat Book is available as a PDF to download and print or to view on your mobile device / PC using the map viewer. 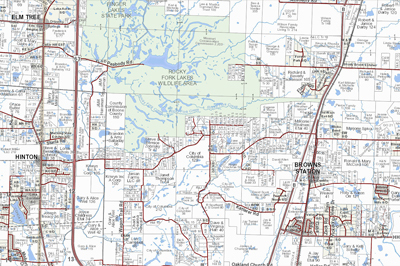 The Plat Book features township level ownership and reference maps, city area maps, County road map, park maps, reference maps, & road and owner index lists. The book is published each spring. Hardcopy professionally printed and bound Plat Books are also available for purchase for $35 at the Boone County Assessor's Office, for more information please call (573) 886-4251. Maintained by the Boone County Assessor's Office in coordination with the GIS Department and County Surveyor, the PLSS Access System enables you to view and retrieve information related to PLSS corners and National Geodetic Survey (NGS) benchmarks.